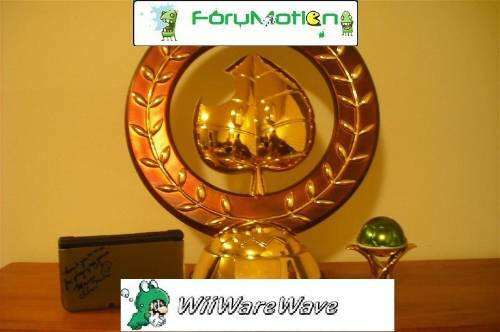 WiiWareWave Was The Most Popular Video Game Website Hosted By Forumotion For The Third Consecutive Year! Time To Break Out Some Root Beer To Celebrate! WiiWareWave might only have less than 300 members, but the sheer amount of visitors we get each year is staggering and as a result we are the most popular video game website hosted by Forumotion! We just received another free year for our custom domain and according to several website activity ranking websites we were the 99th most visited website in the video game genre globally this year and we still have nearly two months left in the year! To put it into perspective WiiWareWave has had nearly 1,000,000 unique visitors this year alone, "7,500,000 lifetime unique visitors" so our site is very known, now all we have to do is convince even just a fraction of those visitors to join and we could become one of the largest video game media websites on the web! Be sure to tell us what you think about this accomplishment as well as what you think about our website itself in our comments below! Re: WiiWareWave Was The Most Popular Video Game Website Hosted By Forumotion For The Third Consecutive Year! Congratulations to the entire WiiWareWave staff! Wowsers thats amazing news. Great work to everyone who still contributes. Congratulations everyone it is such an honor to work for this website. We rave...awiwi? Okay, that worked out better in my head. What I'm trying to say is that I am happy to be a member of WiiWareWave. I even encouraged a friend to join! I hope WiiWareWave continues to be around for many years to come. Congratulations everyone. This is such great news.